Spider-Man will join the MCU in an upcoming movie followed by a new stand-alone film scheduled to release in July 2017. 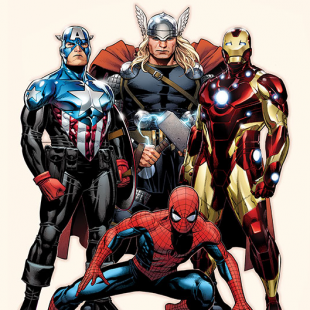 Update: The Wall Street Journal (via ComingSoon) has reported that the Marvel Cinematic Universe's version of Spider-Man will debut in Captain America: Civil War. Sony Picture's planned Sinister Six film is also being delayed so the studio can rethink it and Andrew Garfield has been confirmed as being finished with the role. Original Story: It's happening. It's really happening. After rumors, speculation and about a bajillion "wish upon a star" moments from comic fans, Sony Pictures Entertainment and Marvel Studios announced late yesterday evening that Spider-Man will be officially joining the Marvel Cinematic Universe. According to the terms of a deal described at the official Marvel website, Spider-Man will appear in a future Marvel film tied to the ongoing continuity of the MCU. After that, Sony Pictures will collaborate with Marvel's Kevin Feige and Amy Pascal to produce a new stand-alone film starring the character. Sony will "continue to finance, distribute, own and have final creative control of the Spider-Man films." Speaking about the new deal Disney CEO Bob Iger stated that Disney and Marvel are "thrilled" by the prospect of bringing everyone's favorite webslinger into the MCU. "Spider-Man is one of Marvel's great characters, beloved around the world," said Iger. "We're thrilled to work with Sony Pictures to bring the iconic web-slinger into the Marvel Cinematic Universe, which opens up fantastic new opportunities for storytelling and franchise building." Sony Pictures president Doug Belgrad would go on to describe the collaboration as "the perfect way to take Peter Parker's story into the future." The new stand-alone Spider-Man will hit theaters on July 28th, 2017. Notably, no actors were named in the announcement, including the current man behind the mask Andrew Garfield. While we'll have to wait for the companies to explicitly say he's being removed from the series, his absence from Marvel's posting would definitely seem to give credence to rumors that the actor's web-slinging days are over. We'll also be interested to see if Spider-Man makes his MCU debut in Captain America: Civil War, another tidbit that came out during last year's Sony hack.